Our mission at 1876 Ale Works is to entertain our patrons with artisan styled local brew in the heart of Colorado Springs. 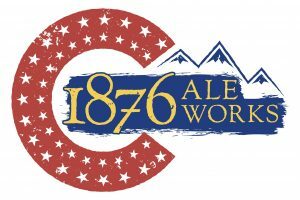 Our concept is one that mirrors many within our Colorado brewing community, offering a creative selection of infused brewing ingredients, but with an enriched focus on the history played out in this 38th State of the Union. Our endstate is to ensure you, our guests, find in us at 1876 a sincere and relaxed environment in which to share craft draft and times of righteousness. This list includes beers brewed currently, previously, or seasonally by 1876 Ale Works. Contact the brewery for current beer availability.